Bart Denney, general manager at Rinker Materials, runs a tight ship, and safety is his number one concern. In fact, fostering and implementing a safety culture is so important to Denney and Rinker Materials that it leaves little to no time to deal with the hiring process. Therefore, the company relies heavily on the staffing professionals at Employment Solutions. Founded in 1963 and acquired by CEMEX in 2007, Rinker Materials is an industry leader in product innovation, technical expertise, high quality products, safety, and customer service. As one of the nation’s largest and leading manufacturers of concrete pipe and related products, Rinker serves 30 states with over 40 facilities. “Rinker Materials has been recognized nationally for many things, but what sets them apart from the competition is their safety record, policies, and procedures,” shared Tom Weddel, outside sales rep for Employment Solutions. Denney and the Employment Solutions team often sit down together to examine topics such as company pay rates and benefits and how they compare to the current market. “We question whether we want to be at the top or the bottom of the pay scale and whether we want to draw committed, long term employees or part time employees,” Denney explained. 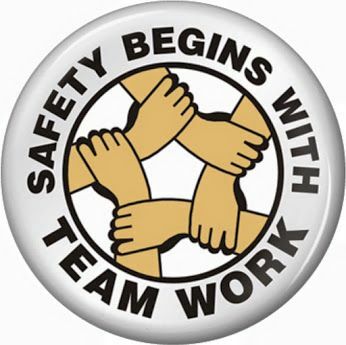 And Employment Solutions knows that understanding Rinker’s business relies heavily on believing in their safety culture, and Denney is assured of this belief in the resulting hires. “When these folks come in the door, they know exactly what to expect in terms of our expectations,” he explained. Together, with the proud Rinker safety culture and Employment Solutions’ appropriate recruitment and interview processes, Denney recognizes that his odds of retaining qualified, committed employees is stronger than ever. Currently, an estimated 30% of the workforce hired through Employment Solutions is now fulfilling full time positions.